As you know I tend to favour monochrome interiors and homewares. I find neutral palettes calming and I'm especially drawn to looking at images of them when I want to unwind. I've noticed this more and more lately, especially when using Pinterest. Even though experts advise against staring at a computer right before bed, I find pinning to be really relaxing, especially at the end of a hectic day. While some people like to pour a glass of wine and put their feet up after putting the kids to bed (and good on them) I'm more inclined to sit down and check in on my favourite Scandi blogs. I literally feel a sense of calmness wash over me. Do you ever get that when reading blogs or being on Pinterest? While I could go on all day about my love of simple Scandi style, black, white and grey palettes, soft pastels and layers of texture etc etc, there's no denying that colourful interiors can be incredibly uplifting. 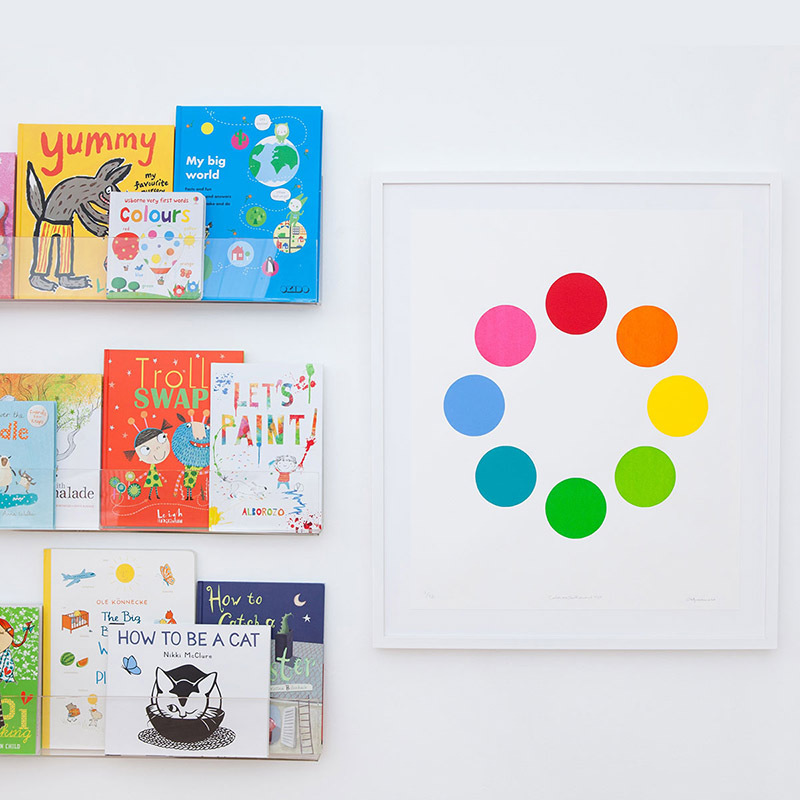 While I have a soft spot for Scandinavian design, I love showcasing talent from NZ and Australia, and it has to be said that there is always plenty of incredible and colourful design Down Under. Today's finds are from talented Australian designers that have recently caught my eye. 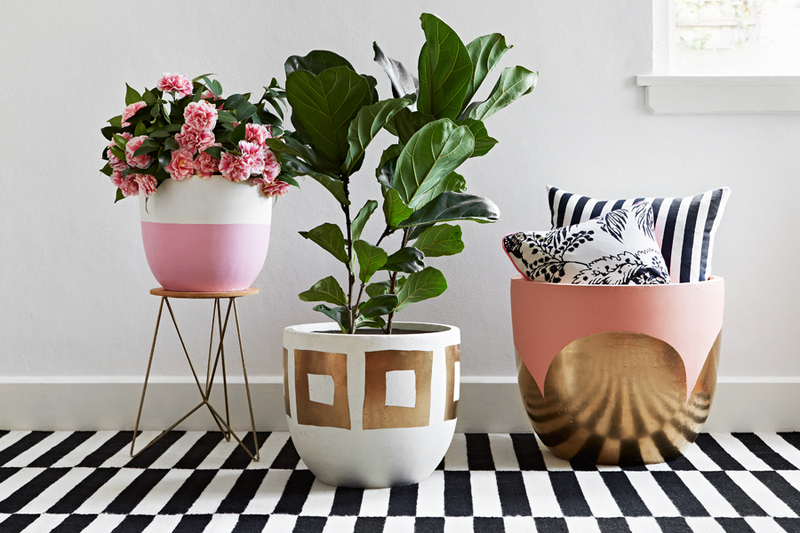 I'm loving these gorgeous customised, hand-painted pots from Alana Langan's new online store Hunt & Bow that I discovered via Adore Home Magazine. 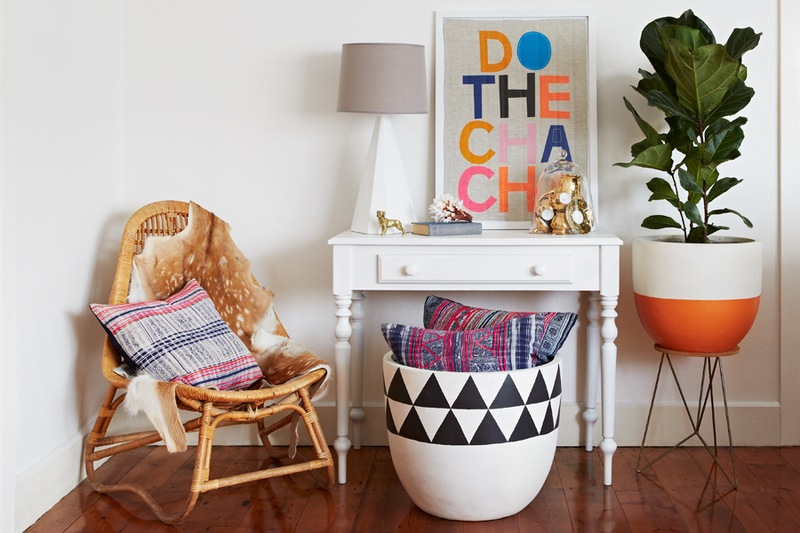 Based in Melbourne, Alana is an interior stylist who regularly works on editorial projects for Australia's leading lifestyle magazines including Inside Out, Real Living and Home Beautiful. Suitable for indoor and outdoor usage, the pots can be chosen from a range of sizes, colours and patterns. I don't think the Fiddle Leaf Fig has ever looked so good! 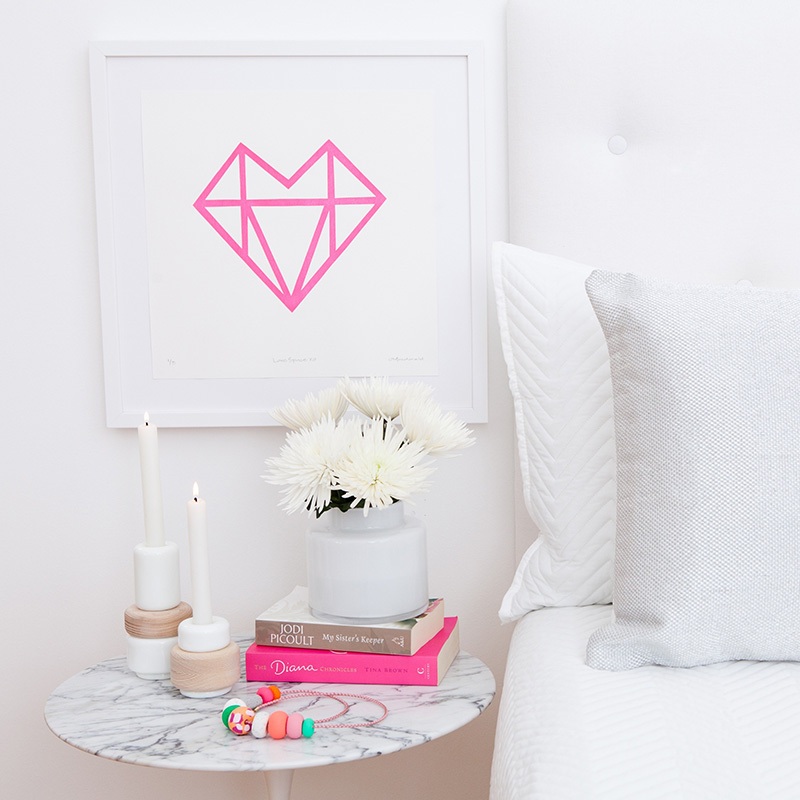 Next up, I'm thrilled to announce that NZ online store LET LIV is now selling the bright and beautiful range of bedding from the Australian brand Kip & Co. 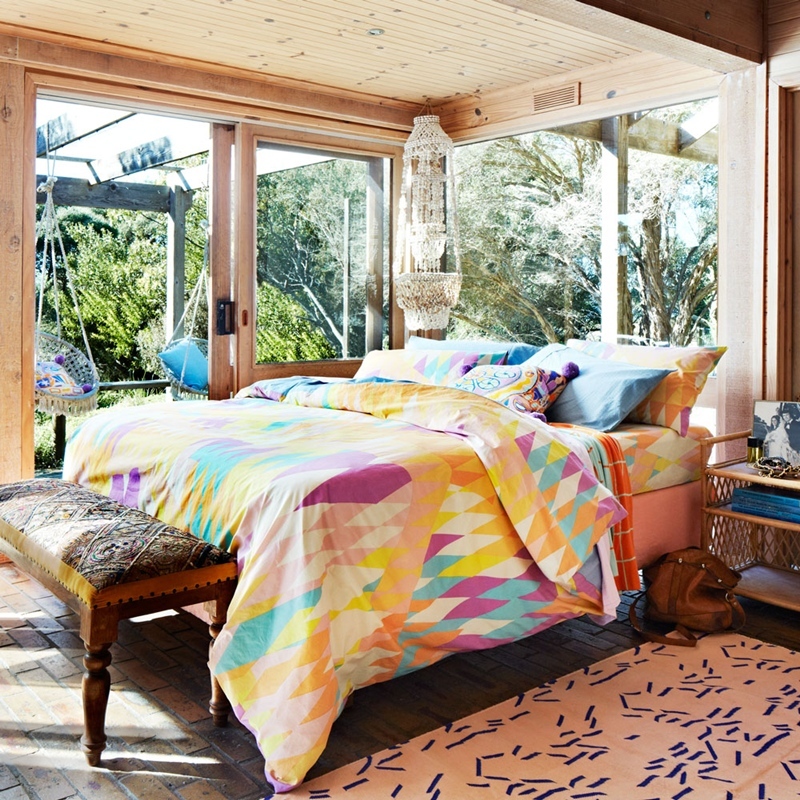 Inspired by art, nature, backpacking adventures around the globe and flea markets down the road, Kip & Co is the brainchild of three Melbourne girls Alex, Kate and Hayley. Fun, vibrant and unique, it's hard not to fall in love with their distinctive designs. 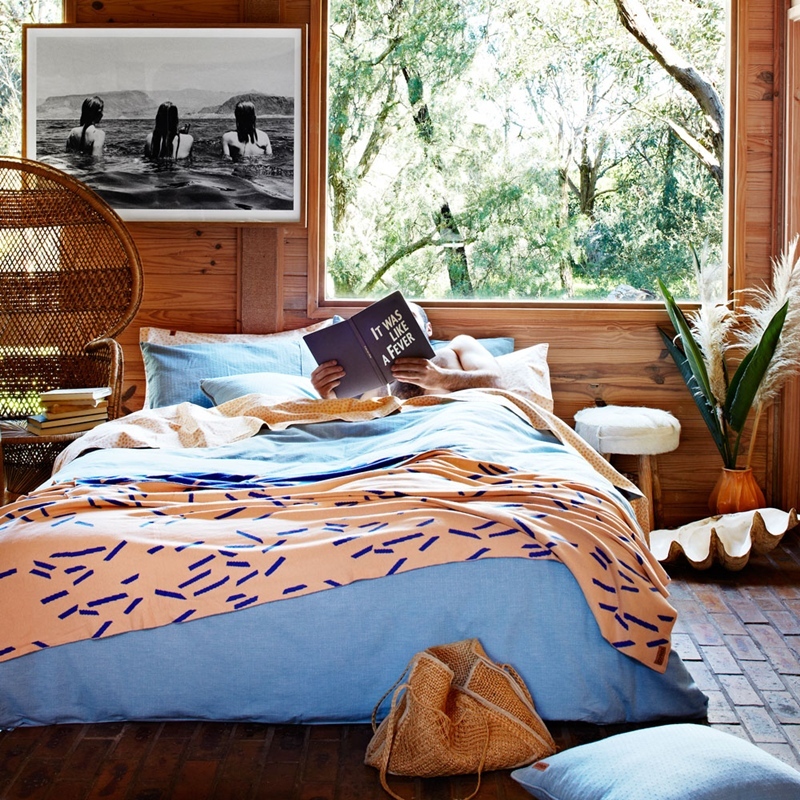 Shop the full range, including duvet covers, sheets, pillowcases and towels here. 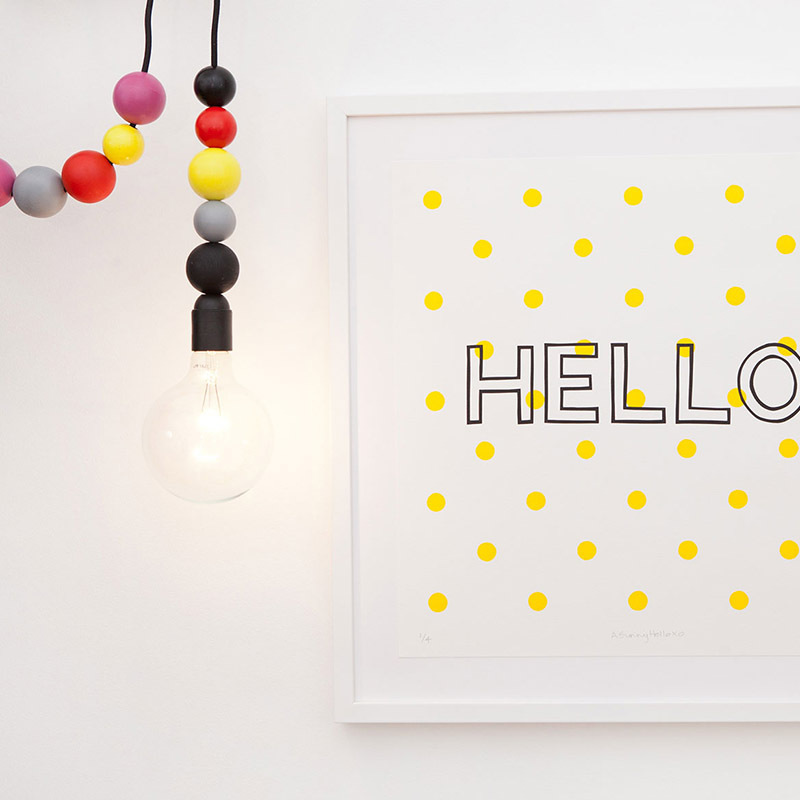 Liv Mac is a gorgeous new range of colourful screen prints created by interior stylist and art lover, Olivia Macdonald. A self-confessed all-round creative type, Olivia lovingly designs and creates all of the original and limited edition prints by hand in her Adelaide Hills studio. With small quantities (generally no greater than 20), every print is truly unique and vibrant in colour and texture. 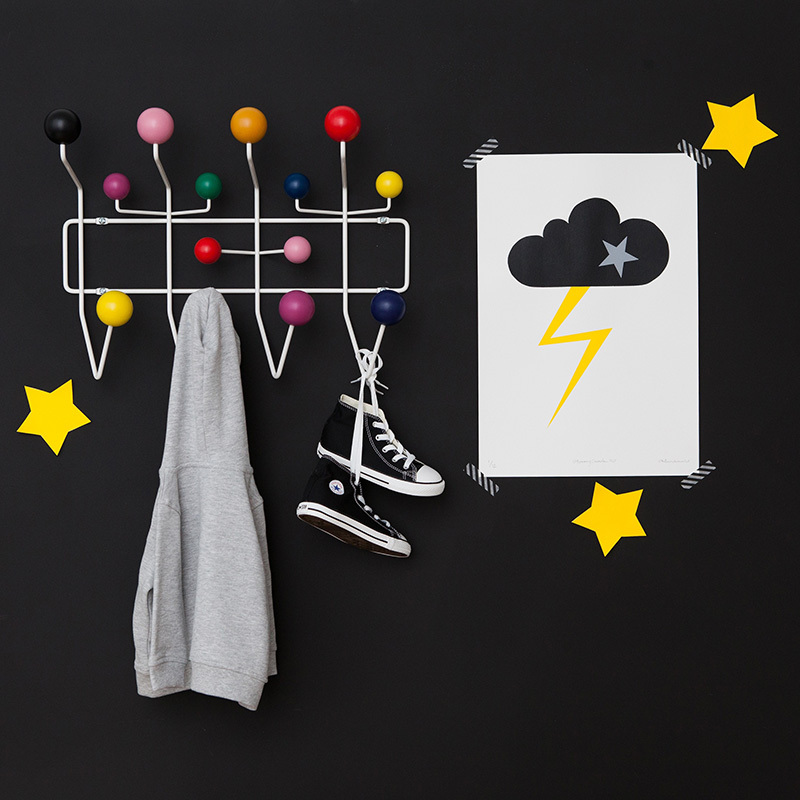 Designed for both children's and adult spaces, I've added several of these to my wishlist for the boys' bedrooms and downstairs living room! Pop over to the Liv Mac site to see the full range and to shop online. International shipping is also available. I thought I'd leave you with a moodboard today. 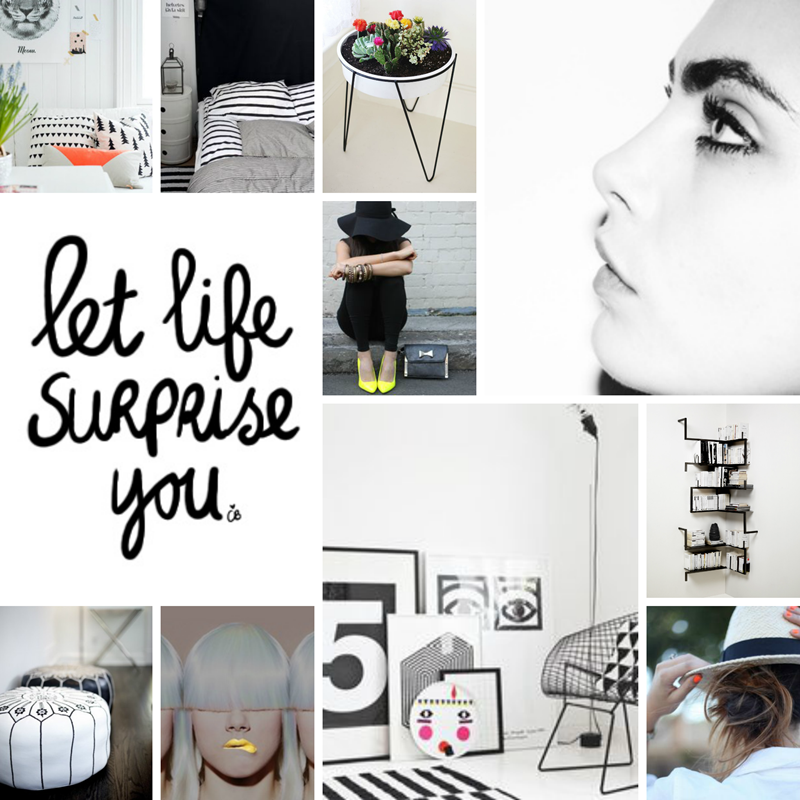 Inspired by the words 'let life surprise you' and a stunning profile image of British model Cara Delevingne, it started out as black and white, like many of my moodboards. Somewhere along the way I began adding small pops of colour, as bright as I could find, and I love how it turned out. 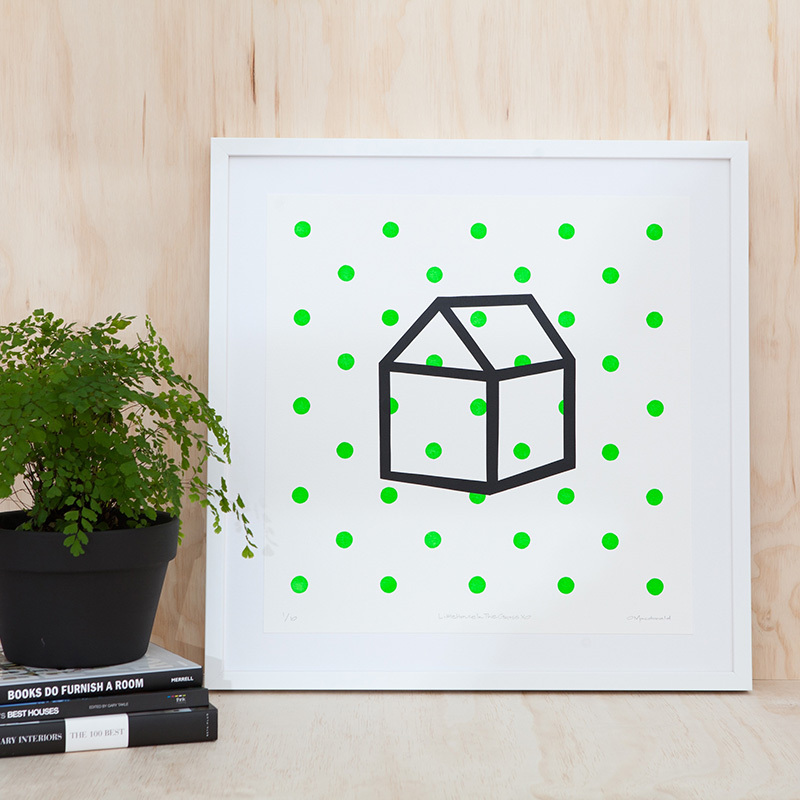 Even in tiny doses, colour can add an element of surprise. I love Pinterest!!! Often I find myself browsing all around the world by clicking all the links. And checking all the blog updates that I follow is another thing I'm addicted to.